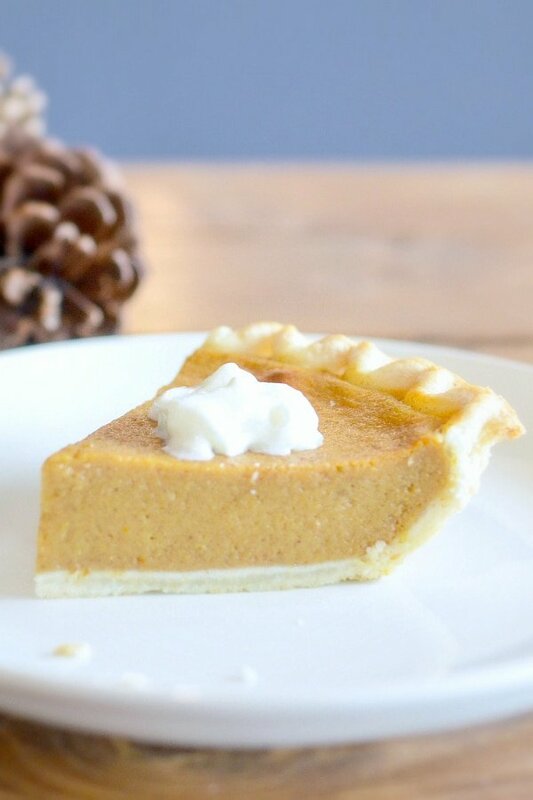 This is my first sugar free pumpkin pie recipe on the blog. 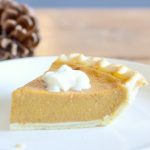 This is a very easy pumpkin pie recipe with a delicious sugar free pumpkin filling and ginger coconut flour crust. 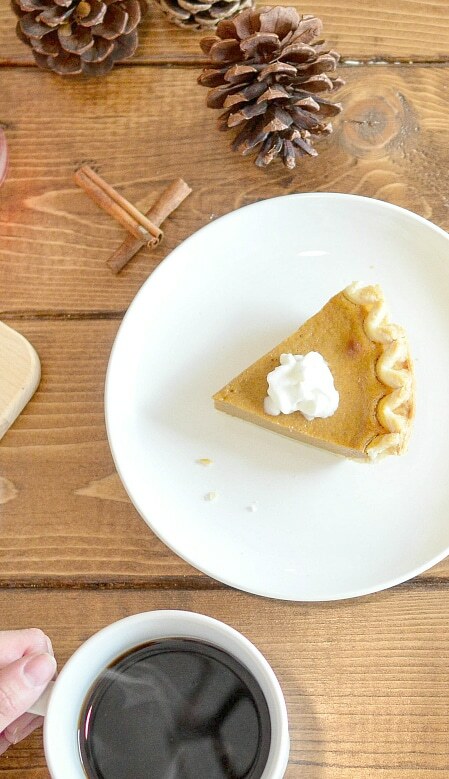 I also really love the combination of pumpkin and coconut and if you are a coconut lover as I do this coconut pumpkin pie is just a bomb! Prepare the coconut crust following my recipe here and add 2 teaspoon of ground ginger to make a ginger coconut flour crust. Pre bake the crust for 15 minutes. Meanwhile prepare the pumpkin filling. In a medium mixing bowl, beat the eggs with unsweetened vanilla almond milk. Stir in the pumpkin puree, pumpkin pie spices, sugar free sweetener, coconut cream and salt. Pour the pumpkin filling mixture into the pre baked crust. Return the pie to the oven for 30 minutes at 375F (180C) or until the center is set and firm. Cool down at room temperature. Serve with extra dollop of coconut cream on top. Store up to 3 days in the fridge in a cake box or on a plate covered with plastic wrap to avoid the pie to dry out. Coconut cream: I recommend you use 100% coconut cream. Check the ingredient list, some brand mix the coconut cream with water and it is not as good for this recipe. I recommend a percentage of coconut >91%. My favorite brand is this one. Nutrition panel is for one slice of pumpkin pie using coconut flour pie crust from my blog and sugar free liquid sweetener. The pie makes 8 servings of one slice. 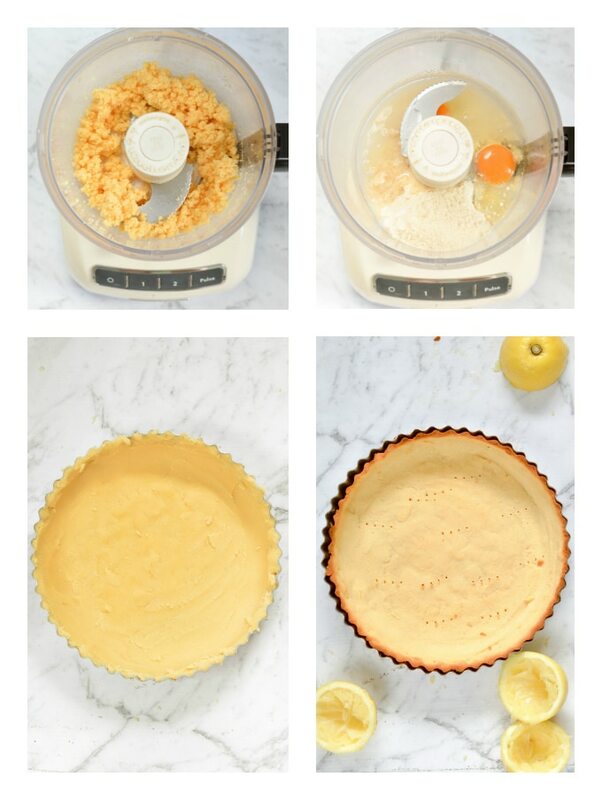 Yum – must save this for when I decide to try a new pie recipe! This looks so good! Love the flavor combinations! Thank you! I can not agree more! Pumpkin + coconut is a killer combo! What can I sub for the eggs? And yay its about to be Pumpkin EVERYTHING weather here soon so I will be on the look out for more amazing Carine pumpkin recipes! Pumpkin pudding? Pumpkin panna cota? Pumpkin muffins? It is a egg base recipe you cant make this one without eggs I am so sorry or it will a totally different recipe. Enjoy the pumpkin season! Thanks for reading me and trying so many recipes from the blog. Makes me very happy to have you here Leyla. XOXO Carine.